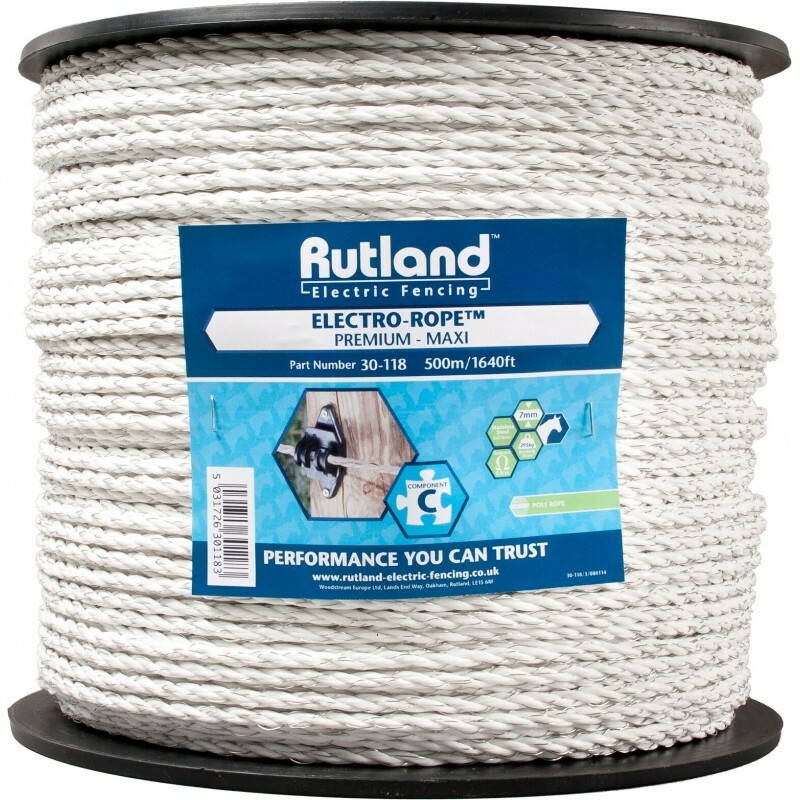 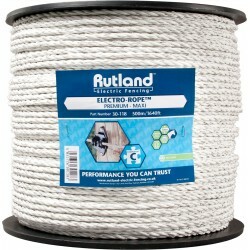 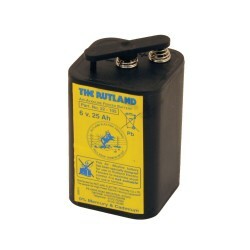 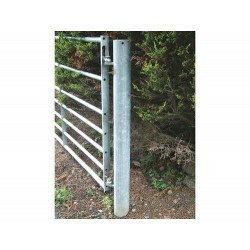 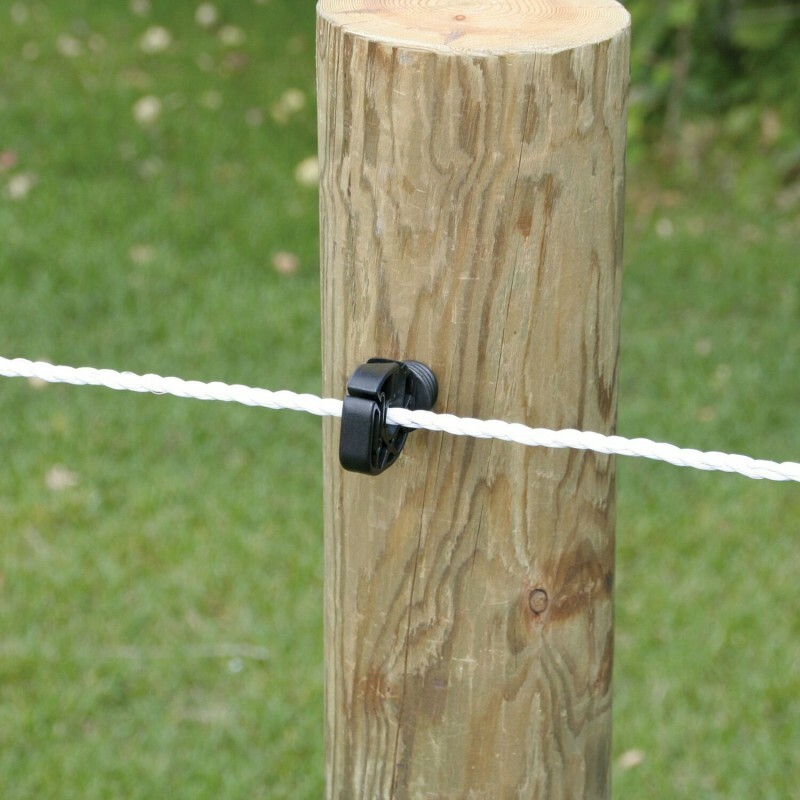 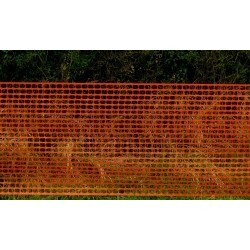 The Rutland Maxi Electro-Rope is a 500m spool of heavy duty Electro-Rope which is best used for long lengths of permenant or temporary paddock fencing. 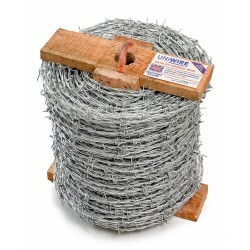 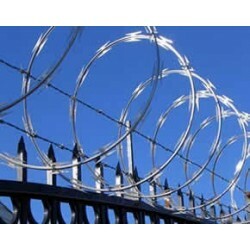 This wire has a diameter of 6mm and is fitted with 6 x 0.4mm stainless steel conductors for better conductivity and strength. 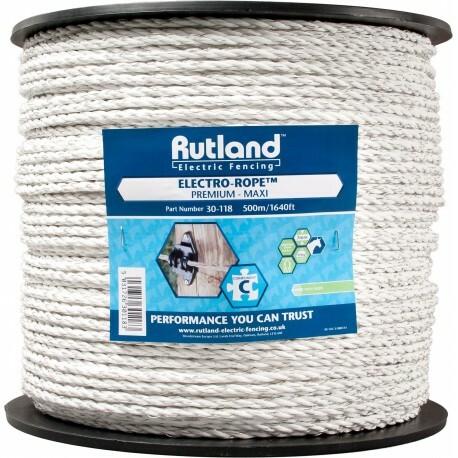 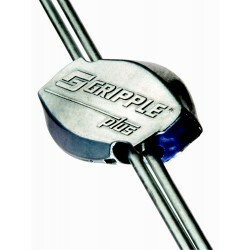 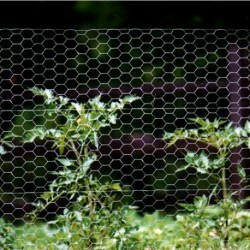 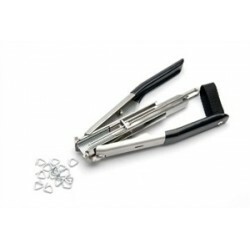 This Maxi Electro-Rope is TWICE AS CONDUCTIVE vs STANDARD SPEC.